Digdoh Hills, Hingna Road, Nagpur. Applications are invited for filling up the following posts in the above said College / Institute. C) Qualifications & Experience : As Prescribed by Dental Council of India as under. 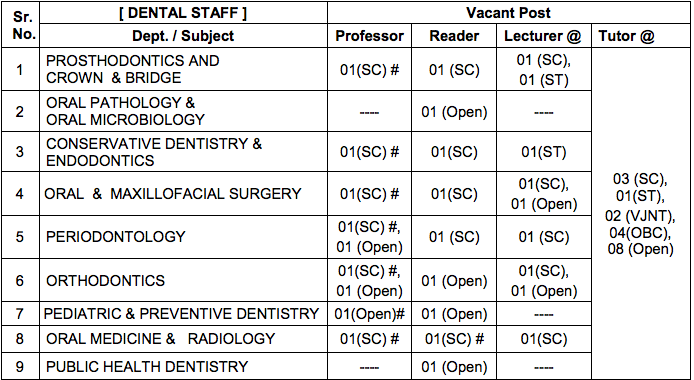 Apply to the Dean, VSPM’s Dental College & Research Centre, Digdoh Hills, Nagpur.